"As usual - great service and attention. " Read our customers' honest and impartial Ford Grand C MAX car reviews and ratings to easily find your next car at Motorparks. 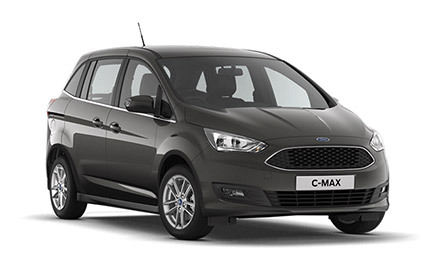 The Grand C-Max is a very comfortable car to drive with a good all round vision of traffic flow. Its fold down seats increase the internal capacity for carrying oversize loads. The one criticism I have is that it appears to have a poor turning circle. Glad I purchased this vehicle. Quality car throughout with all the comforts. I have only driven around locally so far no more than 45minute drives but the car is lovely to handle and so much easier to park with all the parking assistance aids. The guismos are taking a while to get used to but so far only problem has been i can't turn the radio off and have the incar satnav on. But there is a volume control! My passangers are all finding the car very comfortable though an elderly lady I give a lift to is struggling to open the sliding back door. I am still nervous about losing the key since I don't need it to start the car etc. These are things to get used to. On the whole the manual is helpful but will take time to digest. I feel like I'm in a good, solid reliable car. let's hope that is true; this is only two weeks in! Finding this comfortable - the Grand C-Max is just the right size for my wheelchair and hoist, easy to get into. The C-MAX Grand is a beautifully equipped, comfortable, very smooth ride, lots of room all round 1st Class I would recommend. I bought this car because it was the only one I could find that allows me to put a wheelchair in without taking it apart. A pleasure to drive, handles well and economical to run. Lots of toys which I am getting used to!